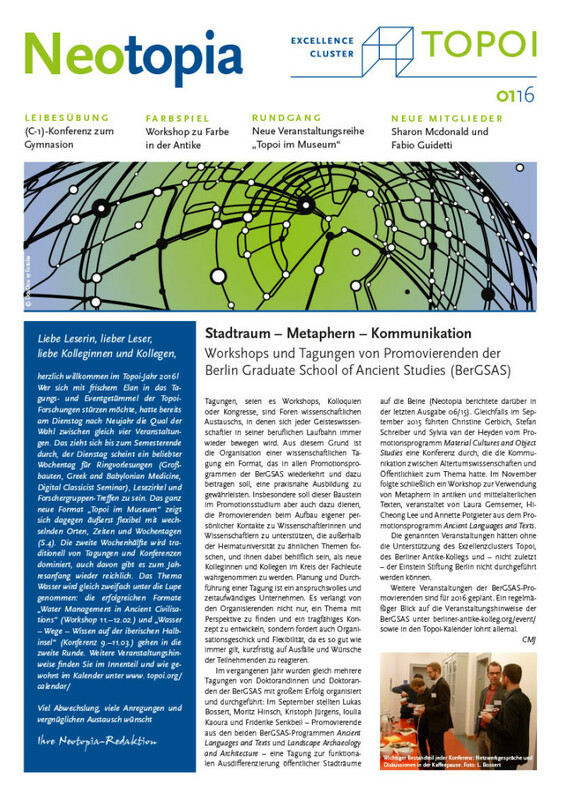 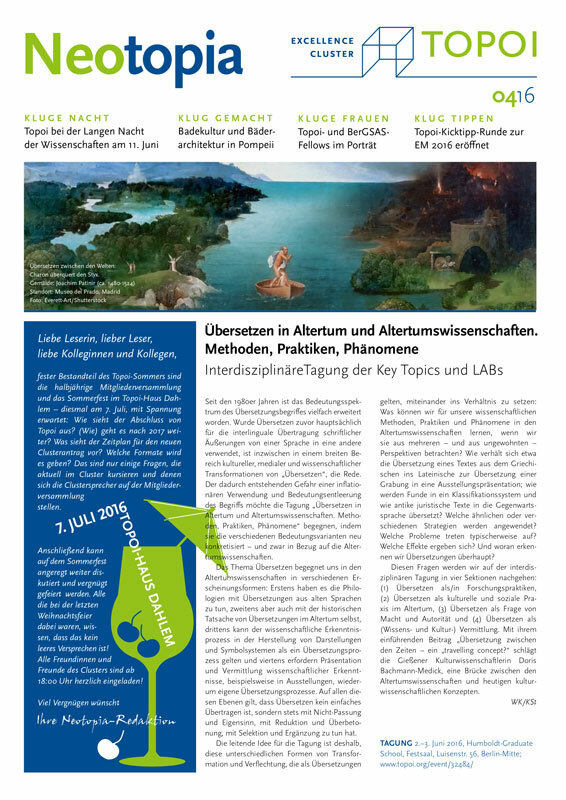 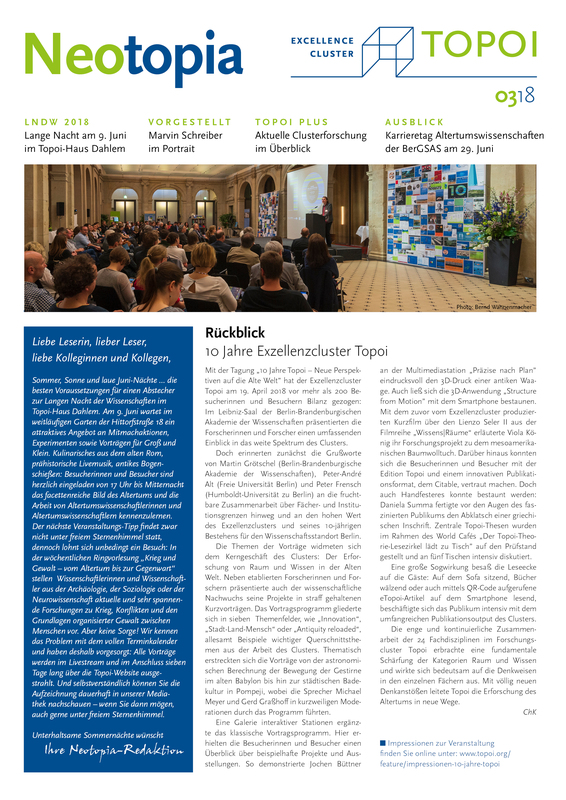 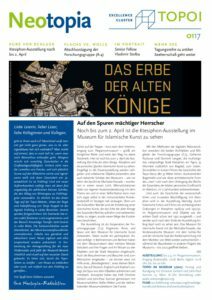 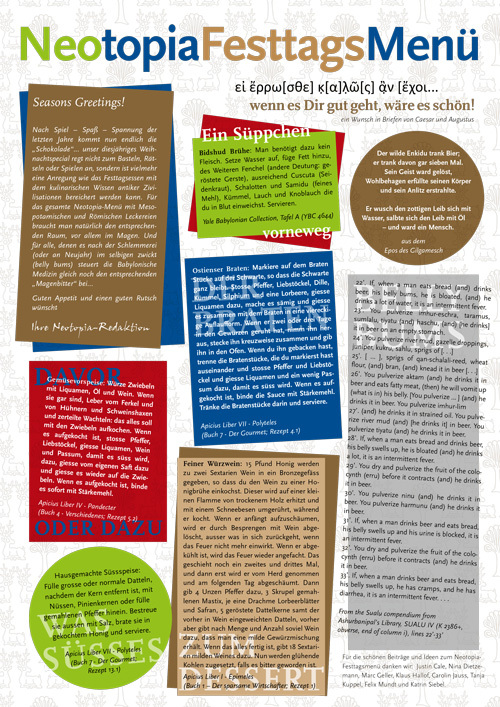 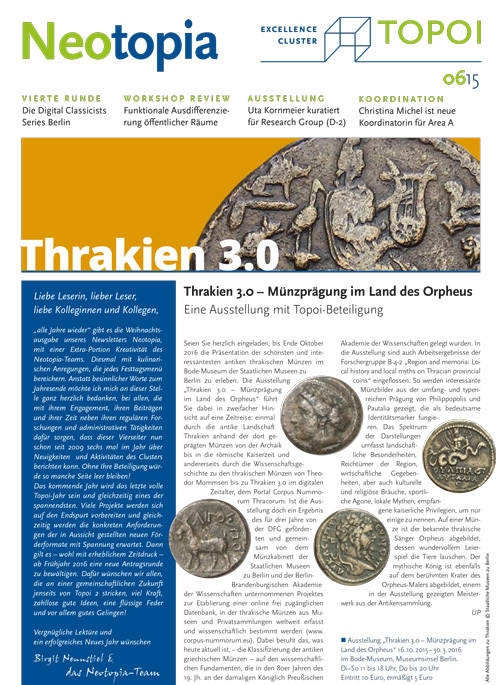 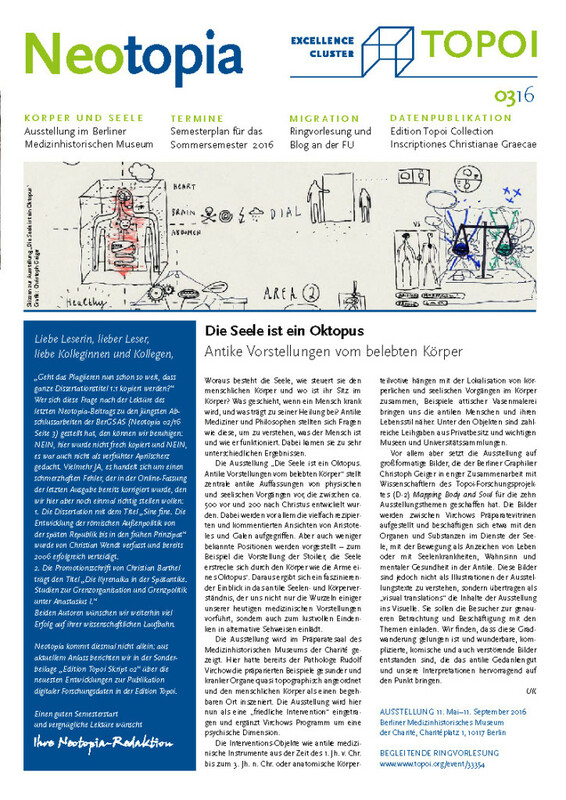 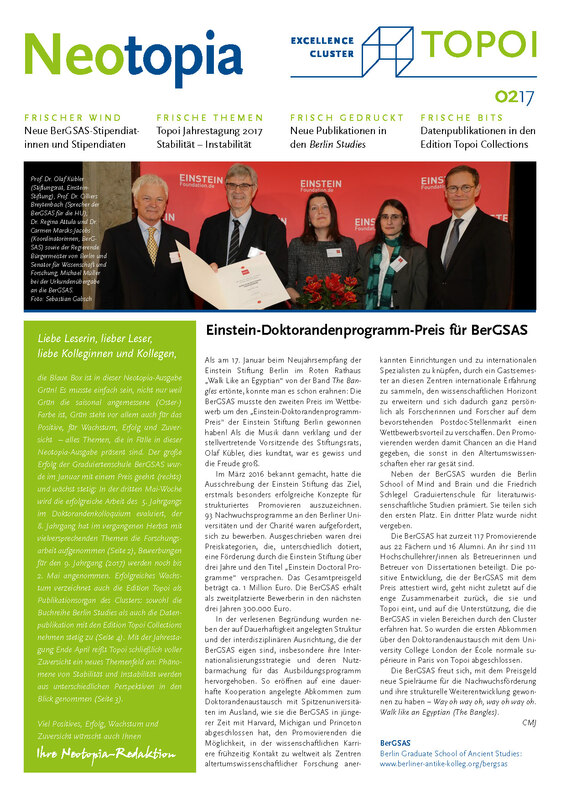 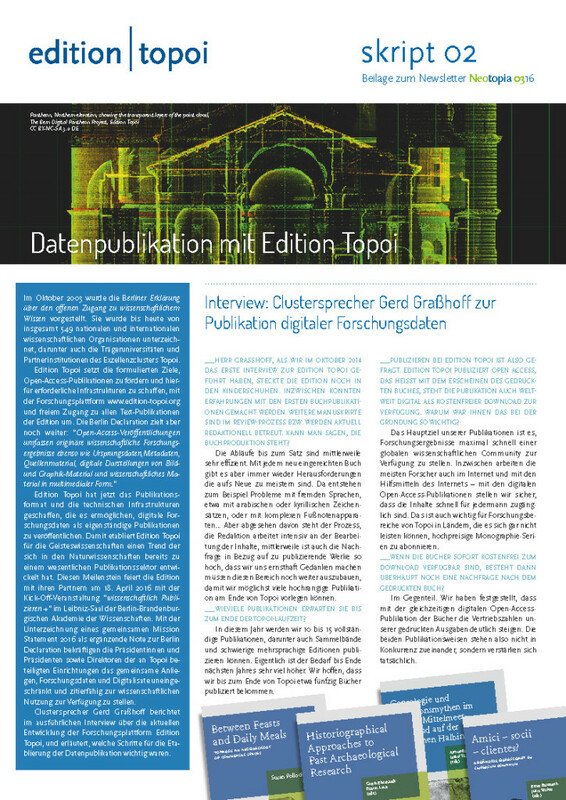 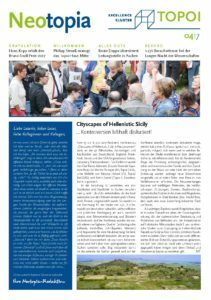 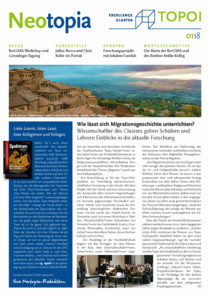 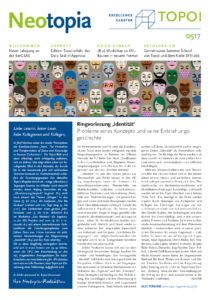 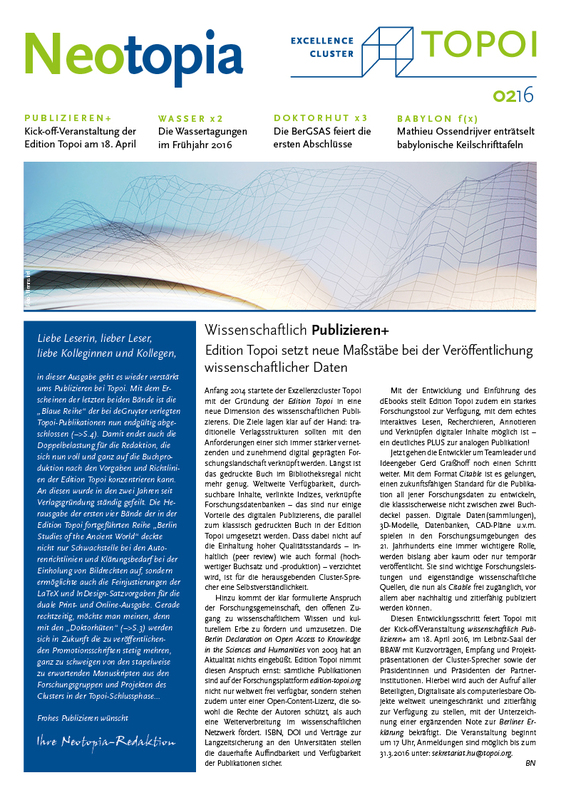 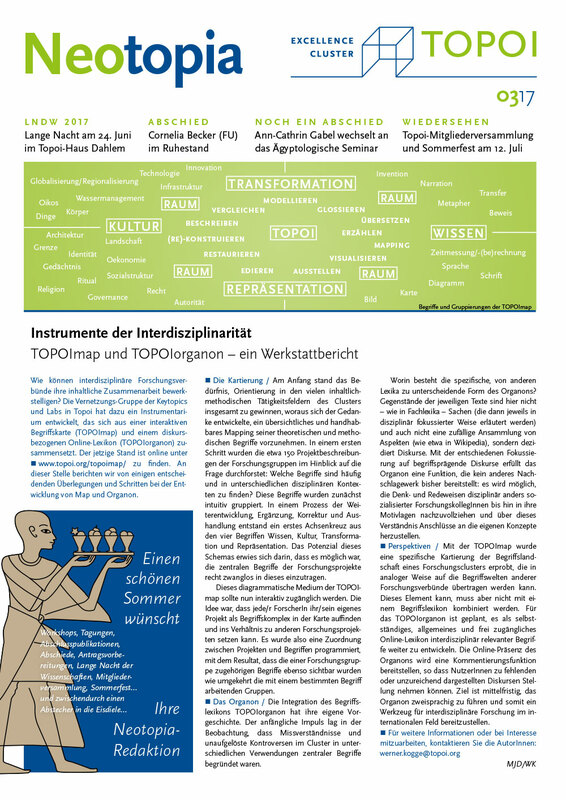 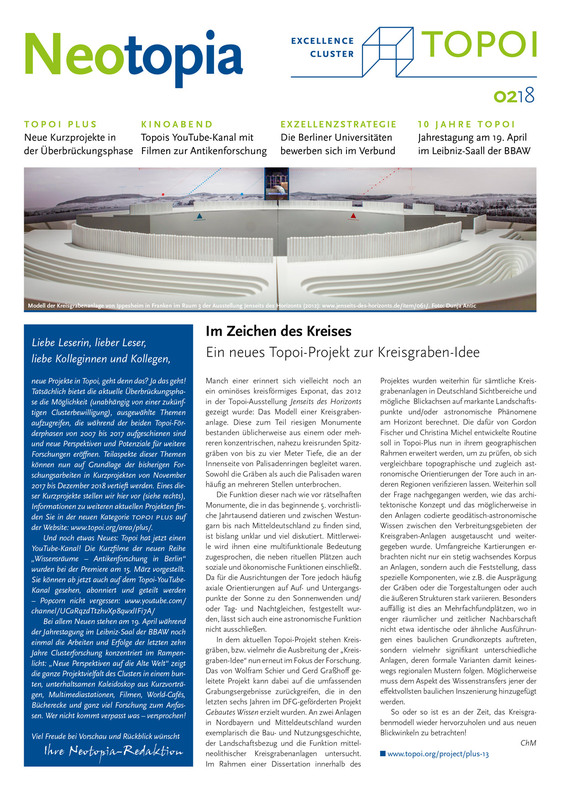 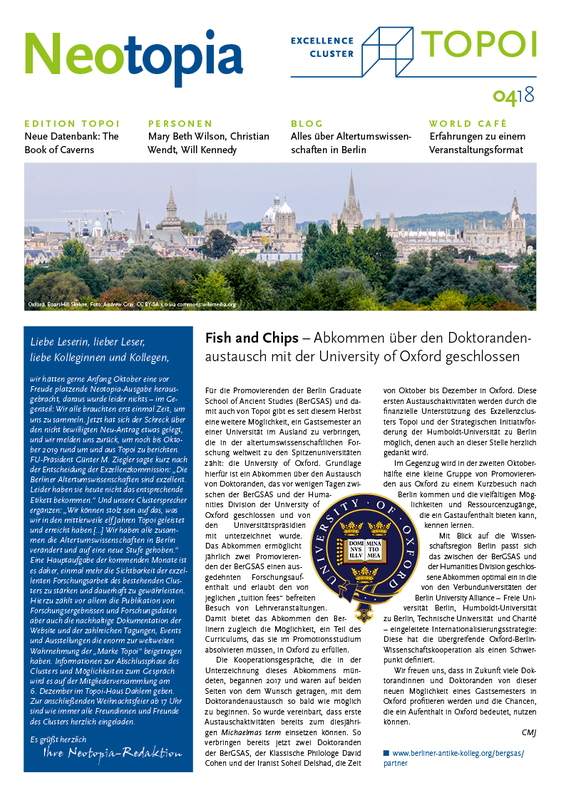 Neotopia is the regular newsletter of the Excellence Cluster Topoi. 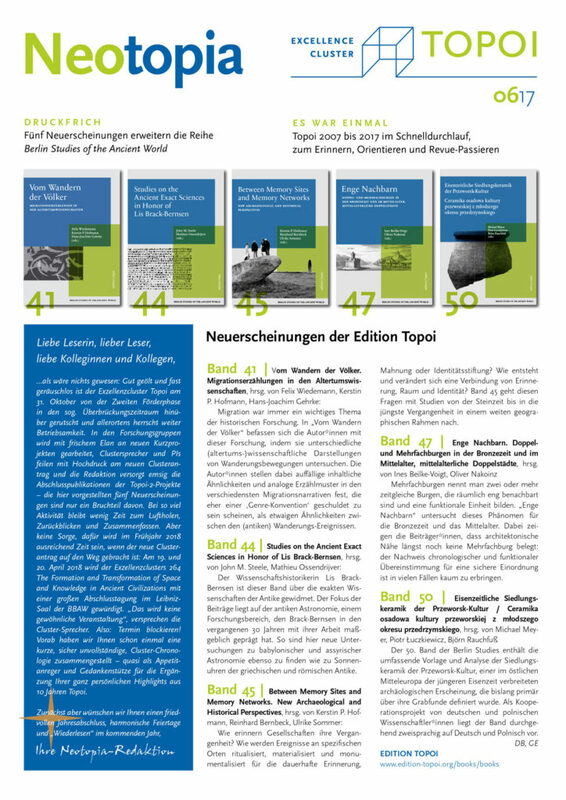 It gives you brief information on upcoming and recent events, current projects, and new Topoi fellows. 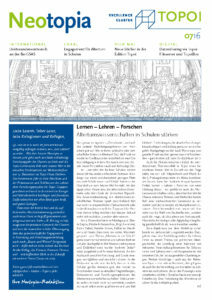 Please click on the appropriate cover to download the issues.